Read the brief and engaging biography of psychologist, psychiatrist and psychoanalyst John Bowlby! Follow his academic journey through the psychoanalytic battle zone! The Strict British Morals of John's Childhood: 'You Can See Your Mom after Teatime! 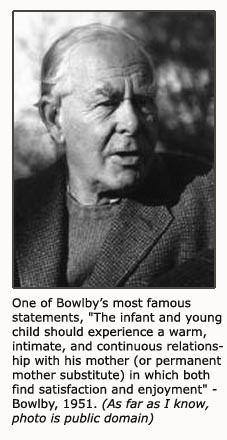 In 1907 John Bowlby was born into a typical British upper-middle-class family. (He was child number four - later two more siblings joined the family, which then made a total of six kids). A child was raised to be 'strong' and hardened via strict child discipline. Signs of emotional affection between parent and child were generally not encouraged. Emotions were mainly seen as a sign of weakness, and affection as spoiling. Also the daily care of children wasn't the job of a British upper-middle-class mom. No, it was the job of a nanny. Thus Bowlby was raised by a nanny, too. Supposedly he only saw his mother only once a day after 'teatime' for about an hour. His father - who worked as a surgeon - he saw even less ... apparently only on Sundays. Because children of that time spent so much time with their nannies, they often developed a deep emotional attachment to them. If the nanny was likeable, the child would often form a bond to her that would resemble that which exists between a child and his or her mother today. John Bowlby allegedly loved his nanny very much but sources disagree as to whether she was there throughout his childhood or whether she left his family when he was about four years old. The source claiming the latter version describes this happening as a tragic event in John Bowlby's early life - something that made a deep and lasting impression on him. Later he allegedly commented on this early separation, saying that the severing of this bond to his nanny had felt like the loss of a mother. Perhaps this traumatic event was the driving force behind Bowlby's academic passion for studying the psychology of children: particularly child suffering because of maternal deprivation, which gradually led to his theoretical establishment of attachment theory. Once again being born into the 'better' British social class entailed following certain societal traditions. When Bowlby was about seven years old, he was sent off to stay at a boarding school. He later said: 'I wouldn't send a dog away to boarding school at age seven'. 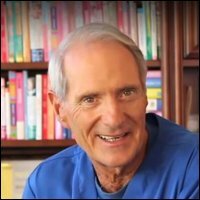 Once again, we possibly have more personal fuel for attachment theory and his later interest in institutionalized children and child grief caused by stressful separation from primary caregivers. As you will read farther down, Bowlby did an extensive study of institutionalized children in hospitals. From boarding school, he decided to attend the Royal Naval College, Dartmouth. This decision only lasted until he was 17. John Bowlby then decided to follow in his father's medical footsteps to Trinity College, Cambridge, to study medicine. He graduated from there in 1928. However, three years into this medical study, he was drawn to what is today developmental psychology. When Bowlby finished his medical training and degree, he decided to do volunteer work at a school with 24 'maladjusted' children. At this school especially two boys made a deep impression on him. He was emotionally moved and intellectually intrigued by their rough childhood history and early relationship challenges: one of the boys had grown up with no primary caregiver figure. Bowlby's friend and colleague John Alford another volunteer at the school, persuaded Bowlby to go back to school and study child psychiatry and psychoanalysis. Doing such a study into the psychology of children would develop his thoughts on the caregiver's influence on early child development, John Alford argued. At that time, it was unheard of that a child's psychological development was to be affected by early child parent relationships. 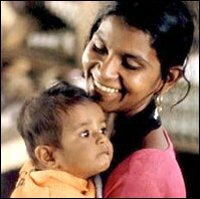 That close attachment to a primary caregiver might be crucial for the child's well-being and positive psychological growth was seen as very provocative in academic circles. John Bowlby did not at all feel like going back to school to do medical training to gain further access to studying. Fortunately rigorous training wasn't necessary as he was easily accepted into the British Psychoanalytic Society. 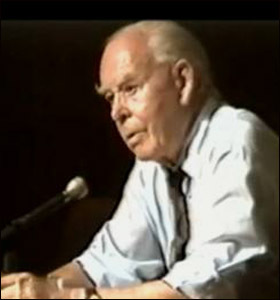 While studying psychiatry, John Bowlby also received psychoanalytic training at the British Psychoanalytic Institute. Here Bowlby met with Melanie Klein, whose theoretical views had a major influence on psychoanalytic thought at the time. However, Bowlby found her psychoanalytic approach to child psychoanalysis wrong and limited. For instance the mechanisms and long-term consequences of early child separation from primary caregivers. After having done service in the Second World War, Bowlby returned to become head of the Children's Department of the Tavistock Clinic. To emphasize his focus on relationships rather than inner fantasy world, he changed the name of the clinic to Department for Children and Parents. Because of Bowlby's radical views: his empirical interest in what actually happens in childhood as a precursor for healthy or unhealthy development, it was difficult for him to assemble a research team. Most people were still in favour of the Kleinian focus on the inner fantasy world. 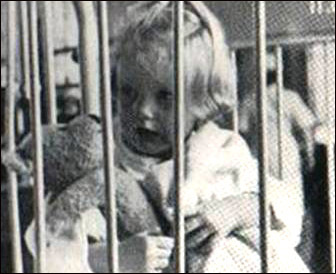 However, in 1948, he hired James Robertson to do research into the effects of periodic child parent separation and child grief among young hospitalized children. This two year research project made such a moving impression on both of them that they felt compelled to do a film "A Two-Year-Old Goes to Hospital". This film stirred up so many people's emotions that it forever changed hospital policies for visiting hours, among other things. 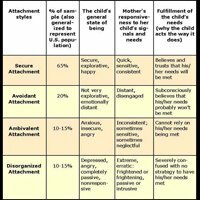 Also it had major impact on what was to become attachment theory. 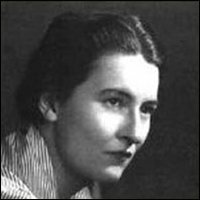 In 1950 Mary Ainsworth joined the research team. Mary Ainsworth was very impressed with the observational methods that Robertson had used during his fieldwork in hospitals. She allegedly said that she would 'take them with her' when she would do her own studies. This she actually did a little more a decade later when she invented the famous lab experiment: The Strange Situation Protocol. 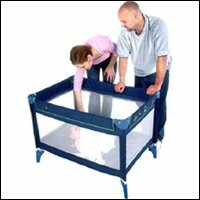 The result of this Strange Situation Experiment and later research was an elaboration of attachment theory suggesting that an infant may show one of four attachment styles towards his or her primary caregiver (typically his or her mother). Event though attachment theory had been present in Bowlby's way of thinking for a long time, it was only in 1957 that he formally presented his ideas to his very critical audience. In the ethologically inspired paper, 'The Nature of the Child's Tie to his Mother', Bowlby caused quite a stir within the Psychoanalytic Society as he critically opposed the current line of psychoanalytic thinking. The criticism of his thoughts didn't stop the direction of his thoughts on attachment theory and the psychology of children. Up to now the prevailing concepts about child grief were put forward by well-respected Anna Freud and Melanie Klein. Anna Freud claimed that an infant couldn't grieve for more than instants at a time because of the undeveloped nature of the infant's mind (in Freudian language: the lack of ego). 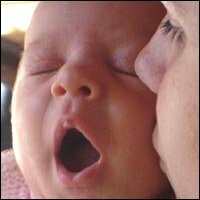 Melanie Klein claimed that the biggest trauma in a baby's life was the weaning from the mother's breast. Bowlby, however, introduced the concept that separation behavior would occur when a baby or child experienced a stressful separation from his / her mother, and that grief would occur if the mother continued to be absent or gone. This cutting edge theory was explained in his "Grief and Mourning in Infancy and Early Childhood" from 1960. Despite the psychoanalysts' rejection of his theories, Bowlby continued to study his view of attachment theory. 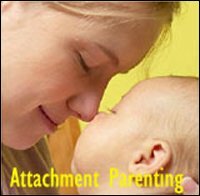 With the empirical assistance from Mary Ainsworth's study of infant attachment behavior, in 1969 he published the first volume: 'Attachment' of the trilogy 'Attachment and Loss'. In 1972, the second volume: 'Separation: Anxiety and Anger' and the third volume: 'Loss: Sadness and Depression' saw the light of day. Despite constant rejection from the prominent psychoanalytic circle, John Bowlby's attachment theory became much more appreciated in the 1980s, when it was the source of inspiration of many attachment research articles and therapies. Bowlby had four children with his wife, Ursula Longstaff, who he married in 1938. Bowlby passed away in 1990. "Many of the most intense emotions arise during the formation, the maintenance, the disruption and the renewal of attachment relationships. The formation of a bond is described as falling in love, maintaining a bond as loving someone, and losing a partner as grieving over someone. Similarly, threat of loss arouses anxiety and actual loss gives rise to sorrow; while each of these situations is likely to arouse anger. The unchallenged maintenance of a bond is experienced as a source of security and the renewal of a bond as a source of joy" (Bowlby 1991). If you want to see Bowlby speak a little about the importance of close attachment and motherly bonds, see the video below.